You are here: 3B Training > First Aid > Do I Need Paediatric First Aid Training? 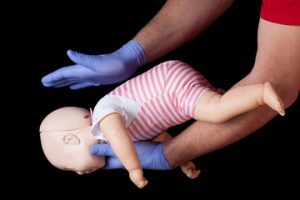 Do I Need Paediatric First Aid Training? Paediatric First Aid is a vital qualification. Especially if you work in or are regularly involved in a childcare setting. Do you know what level of Paediatric First Aid training you need and how many of your employees need the qualification? Take a look at the legal requirements you should follow below. What is the minimum requirement for Paediatric First Aid training? All recently qualified childcarers who are at level 2 and 3 must have some form of Paediatric First Aid qualification. In a childcare environment, a minimum of one person needs to hold the full 12-hour Paediatric First Aid certificate. You need to be mindful that not just one person should hold the certificate as they may need cover when they are on annual leave or off due to sickness. Which course Paediatric First Aid course should I attend? The Emergency Paediatric First Aid course covers the basic knowledge you will need. The course is suitable for new starters in a childcare environment. This qualification can be held if you work in an organisation with less than 50 people. It is recommended that you upskill as soon as possible so that you have all the knowledge you will need in the event of an emergency. The 2-day Paediatric First Aid course is the recommended qualification for anyone who works in an environment with children. 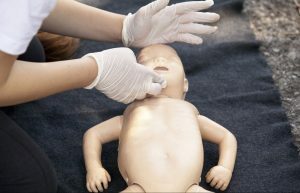 Even if you don’t need this training for work purposes, it could be crucial in saving a child or baby’s life. In terms of work requirements; this qualification needs to be held by someone who works with 50+ individuals, (please note that the appointed person also needs emergency first aiders supporting them). For more information about the course, dates, prices and course content click here. Take a look at what is required in a standard first aid kit and what the laws are surrounding it here.